This weekend has been hellishly eventful! I'll be blogging about it soon but I just want to let you guys know that this week's gonna be special! It's K-Palette Week!!! The K-Palette team from Japan arrived yesterday to take part in an entire week of events organized just for us! The Japanese makeup artists will be going around our sunny island, giving us free makeovers! Here's your chance to learn how to make your eyes go all dolly, innocent or sophisticated! This month also marked the introduction of K-Palette's revolutionary 2-Way Eyebrow Liner! This product is now available in BHG Bugis and Clementi, Sasa and selected Watsons outlets. And last but not least, here are the dates to mark down in your diary for free makeovers! K-Palette will also be participating at CozyCot's Holy Grail Beauty and Fashion Awards 2011. This will be taking place at Orchard Central on the 16th and 17th. 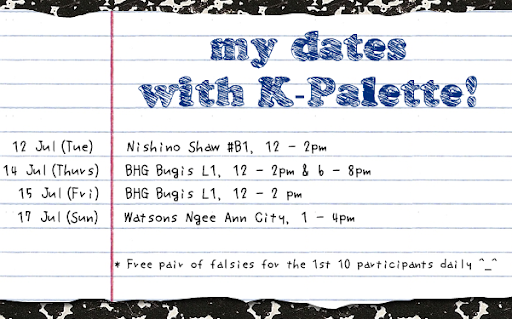 The Japanese makeup artists will be there to give free makeovers too, from 2 - 6pm AND freebies will be given away! 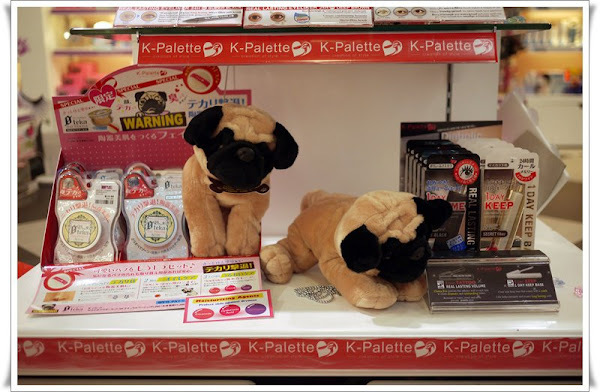 Do check out K-Palette on Facebook and Twitter for more updates!